Marc, founding CEO of Antabio, is a molecular and cellular microbiologist with over 25 years’ experience in academia and biotech. Prior to founding Antabio, Marc held different research positions at various institutions globally such as CNRS and Inserm (France), CSIC (Spain) and Emory University (USA), authoring over 20 peer-reviewed articles in the field of bacterial pathogenesis and antibiotic resistance. 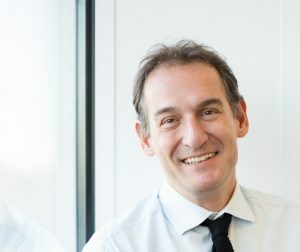 Under Marc’s leadership, Antabio has built a broad portfolio of novel and proprietary anti-infectives targeting WHO’s critical priority pathogens, raised double-digit million funding and received numerous awards including a CARB-X award (2017) and two Seeding Drug Discovery Awards from the Wellcome Trust (2013 and 2015). Marc is also a member of the Board of the BEAM Alliance (European Alliance of Biopharmaceutical companies combating Anti-Microbial resistance), and a member of the SAB of JPIAMR (the Joint Programming Initiative on Antimicrobial Resistance).